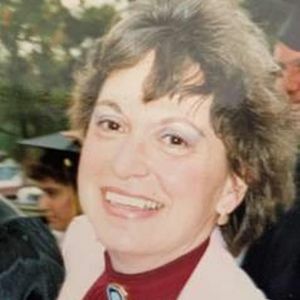 Dorothy Mills-Tetro died peacefully at home on March 27, 2019. She was born on April 9, 1938 in the Bronx , NY to Fred and Mary Harelick Cohn. Dorothy was raised in the Bronx until she moved to Mt Vernon and graduated from AB Davis High School. Dorothy was active in PTA serving in several leadership roles at Traphagen Elementary School including PTA President and Treasurer including management of fundraisers. She was an executive at Lillian Vernon employed as import manager. Upon moving to Florida, Dorothy became active with United Civic Organization (UCO) of Century Village of West Palm Beach twice being elected Treasurer and where she had numerous friends. Dorothy is survived by her children Lois (Peter) Chianese and Glenn (Carol) Mills as well as grandchildren Amy (Greg), Paul, Max, Tyler, Brendan and Alexandra. She is also survived by her great-granddaughter Carmela, her long-time partner, Edward Ross and best friend Brenda Strauss. She is pre-deceased by her parents and husband Joseph Tetro. In lieu of flowers contributions to one of these organizations will be appreciated: Denver Hospice (501 S Cherry St #700 Denver, CO 80246-1328), ALS Association (1275 K Street NW Suite 250 Washington DC 20005), Camp Becket (748 Hamilton Road Becket MA 01223), or Windward School (13 Windward Avenue White Plains, NY 10605). Wake will take place on Sunday April 7th at Pelham Funeral Home 64 Lincoln Avenue Pelham, NY from 2-6pm. 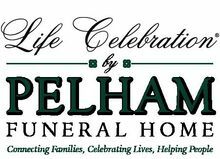 Funeral services will be Monday April 8th at Pelham Funeral Home at 10 am followed by burial at Holy Sepulchre Cemetery in New Rochelle, NY. Add your thoughts, prayers or a condolence to Dorothy 's guestbook.